Use code CARDI27 to make the final price ONLY $27.95! With well stocked inventory and 12 different colors to choose from, there is something for everyone! 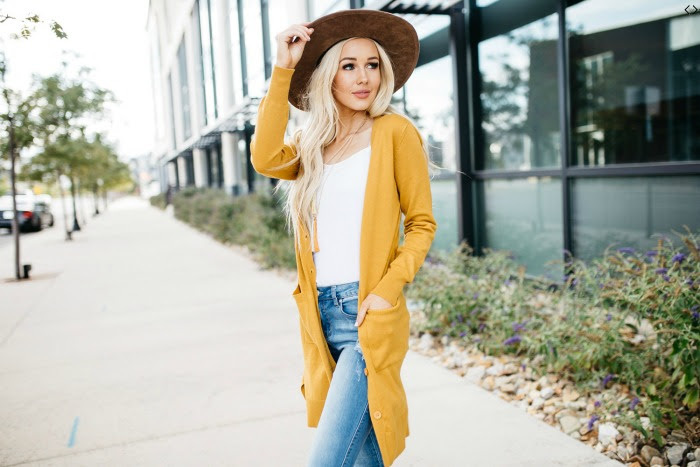 Jill is a soft cozy open-front pocket knee length cardigan that comes in all of your favorite autumn tones to layer over all of your favorites this season.